SAN DIEGO, Calif. /California Newswire/ — Legacy Global Development today announced the launch of the Paradise Retirement Plan at its prestigious Orchid Bay, Belize property. As many North Americans are purchasing vacation homes prior to retirement, then choosing to live in their vacation home full-time after they retire, the Paradise Retirement Plan is a homeownership program customized to cater to this growing real estate trend. “We cater to a specific type of buyer in North America who wants to own a home in paradise where they can live permanently or semi-permanently after they retire,” said Chris Williams, CEO of Legacy Global Development. The Orchid Bay Paradise Retirement Plan consists of three steps which make retiring in paradise a reality, while spending one’s best years relaxing by the beach and experiencing the laid-back Belizean lifestyle. 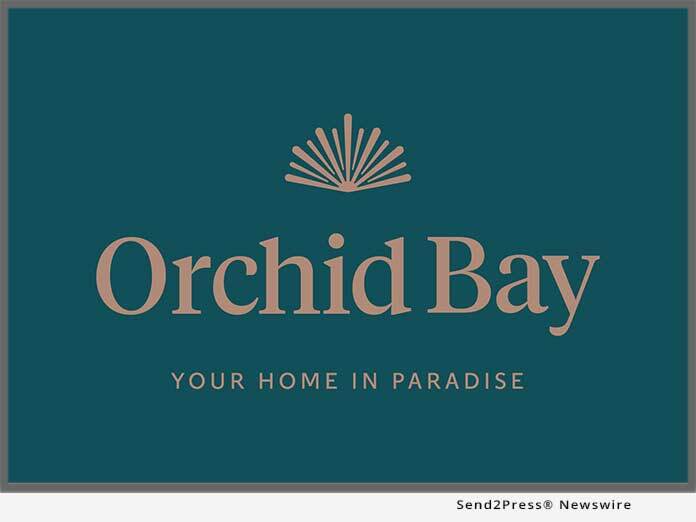 Most retirees buy a home at Orchid Bay a few years before retiring. This gives them time to enjoy spending holidays and family getaways at their home in paradise while they are still working. Orchid Bay offers an optional Rental Program to help homeowners generate revenue which offsets the cost of ownership until it’s time to retire here. This program manages the entire process of marketing the home, providing first-class hospitality for guests, and ensuring the house is well-maintained while owners are not present. The program comes with a 3-Year Rental Guarantee, and owners can still enjoy personal use of their home throughout the year when their house is not being rented out. Once homeowners are ready to retire and have spent enough time at their vacation home to know that they’d like to become a full-time resident of Belize, they could be eligible for Belize’s Qualified Retirement Program (QRP). For those who would like to enjoy their Orchid Bay home on a seasonal basis, they can continue to rent out their home. To qualify for QRP, one needs to be at least 45 years old and live in Belize at least one month per year. Requirements are having a monthly income of at least $2,000 or a yearly income of $24,000 from a pension or annuity (including Social Security), and this allows those who are eligible to bring $15,000 worth of personal goods to Belize tax-free and pay no Belizean taxes on any foreign-earned income. Located in northern Belize, Orchid Bay is a gated, master-planned community situated on a 114-acre site in the Bay of Chetumal. It combines North American comforts with a spectacular Caribbean setting. The development was influenced by innovations in community design that reveal small-town accessibility, connectivity, and convenience – all with respect to the natural environment. The master plan calls for a series of canals and basins for easy navigation around the community, first world infrastructure, and a Town Center. The community is comprised of Beachfront Condominiums, Casitas, Waterway Villas, Bungalows, and home sites and lots where homeowners can build their own custom home. On-site amenities include the Tradewinds Beach Club and Restaurant, as well as a grocery store and medical clinic, both of which will be opening soon. Orchid Bay offers many activities and tours for its residents, all with easy access to the best of Belize. To learn more about Orchid Bay, the Paradise Retirement Plan, and to book a Discovery Stay, contact Legacy Global Development today at (877) 959-9646 or hello@legacyglobaldevelopment.com.